Zippered pouch knitting or crochet project bag, with interior pocket. This Bigger Boxy Bag will hold a larger knitting or crochet project. A shawl or a small sweater will fit. An interior pocket can hold notions. The smooth nylon coil zipper has a ribbon tab at each end, and a bead on the zipper pull. The zipper opens at the top when the bag is hanging by the handle, so the contents will not spill out. The bag is interfaced, and constructed with reinforced and professionally serged seams. 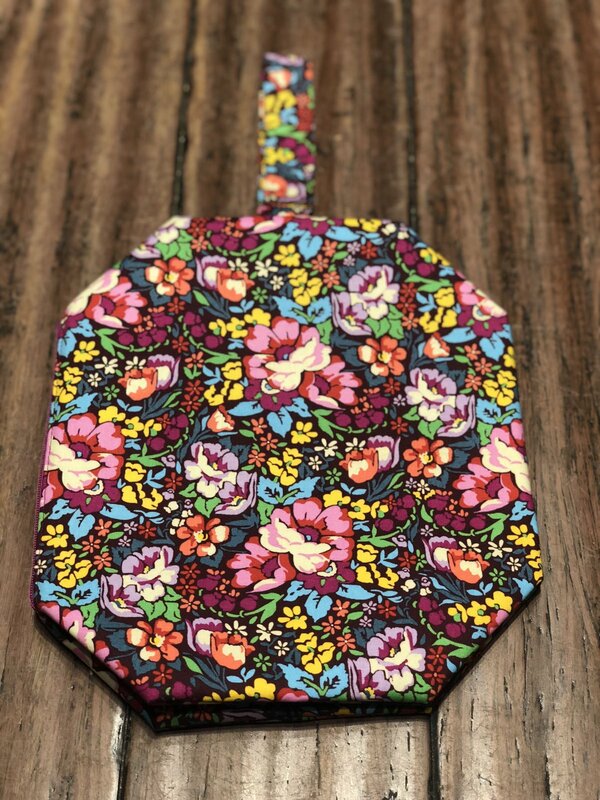 The lining is a coordinating cotton print. The yarn is not included. Projects are created with care by ZigZagStitches using top-quality fabrics.